Thetis Lake-Scafe Hill-Park is in the seaside community of the Highlands, one of thirteen communities that form the Capital Regional District of British Columbia. Thetis Lake Park is a regional parkland that encompasses several hills including Scafe Hill and Stewart Mountain. The northern part of the eight hundred and thirty three hectare parkland resides in the Highlands. The southern section of the park was designated as a nature sanctuary in nineteen fifty eight. Overlooking Saanich, Victoria, Esquimalt, View Royal, Colwood, Langford and the Strait of Juan de Fuca with lovely Olympic Mountains in Washington State, Scafe Hill at 231m and Stewart Mountain at 271m are terrific viewpoints to look southward. Looking north you’ll see the higher summits in the Highlands: Lone Tree Hill and perhaps some of the tops of hills that form the Gowlland-Tod Parkland and Mount Finlayson. This northern area of Thetis Lake Park is also the junction point for the hydro towers and transmission lines that supply the Capital Regional District and as such many of the trails are either part of the BC Hydro access roads or are fire and old logging roads. Stewart Mountain and Scafe Hill are part of the Thetis Lake Regional Park which has a diverse network of rough trails. 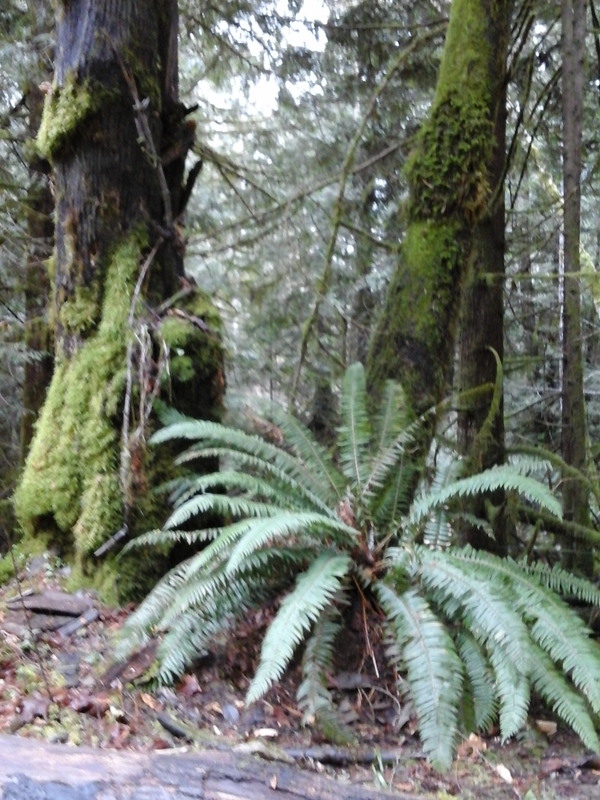 You can easily spend a few moments to a several hours hiking in this park enjoying the Douglas-fir and arbutus trees as well as the undercover of salal, ferns and moss. 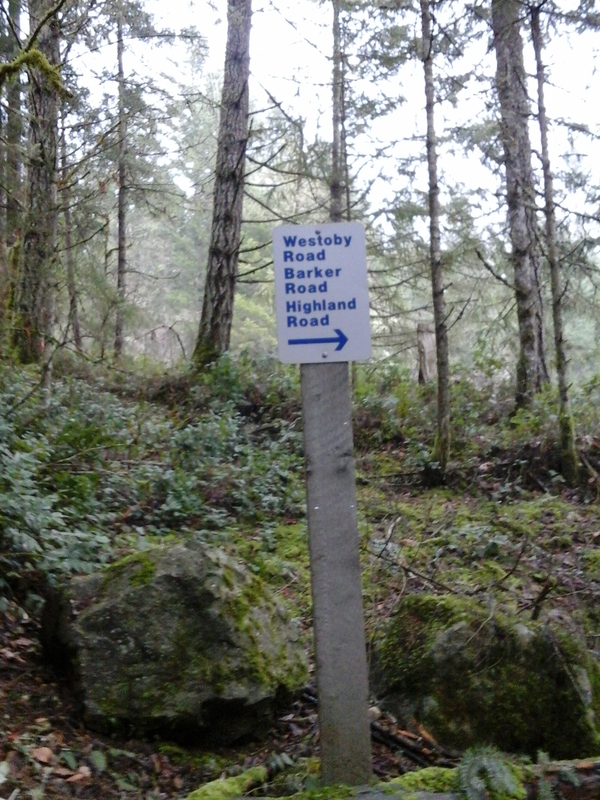 There are several access points from the Highlands into Thetis Lake Park. Most of these alternative trail heads are near the end of roads and have very limited parking. The access from Stewart Mountain Road is reached by exiting north off the Trans Canada Highway at the Millstream Road exit. Follow Millstream Road to the junction with Stewart Mountain Road or Davis Road and continue to their terminus. Along Stewart Mountain Road are trails that connect with the Thetis Lake Park trails. One trail is near in the first curve of this road while the second is through Stewart Mountain Road Park. Alternatively, the northeastern side of Thetis Lake Park can be reached by exiting the TransCanada north at the Colwood/View Royal exit (Exit 10). Keep right at the fork and continue east on West Burnside Road. Turn left onto Watkiss Way which curves become Highlands Road. There is a small parking area off of Highlands Road or continue to follow this windy road as it curves to be named Barker Road then Westoby Road. There is limited roadside parking at the end of Westoby Road. For a map of the hiking trails in Thetis Lake Regional Park, see the CRD Parks brochure.